Location of Kuta Beach is located approximately 11 kilometers south of Denpasar and can be reached easily using public transport from Tegal bus station with the journey in about 15 minutes. 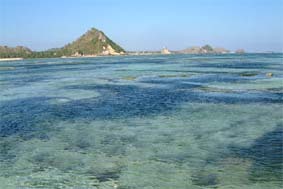 Or about 3 km from the Ngurah Rai airport in Denpasar. 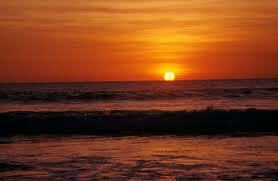 Kuta beach is wide, clean white sand is the main attraction for tourists. At the time when Surya twilight began to set, Kuta which overlooks some beautiful, romantic, while enjoying a refreshing blast of cool air, Kuta is often used where the mengasyikkanSekarang exercise this afternoon, Kuta Beach and the surrounding area has established a wide range of tourist facilities that can meet almost all the needs of tourists such as hotels, restaurants, beach facilities with a very perfect place for surfing, cafeteria, disco, and others who make the night life is very impressive.